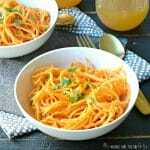 Creamy Sun Dried Tomato Pasta (Vegan) is easy to make on a weeknight, but elegant enough for a special occasion. And it’s oil-free, dairy-free, and gluten-free! Do you know the secret to making creamy sauces without any dairy or oil? All you need to do is blend soaked raw cashews with water and some seasoning, and you get a luxurious sauce without any milk or oil. For example, you can make Creamy Spinach & Mushroom Pasta. Or one of my go-to recipes, Lemon Cream Pasta Sauce. And don’t forget Mac and Cheese with Garlic Spinach. 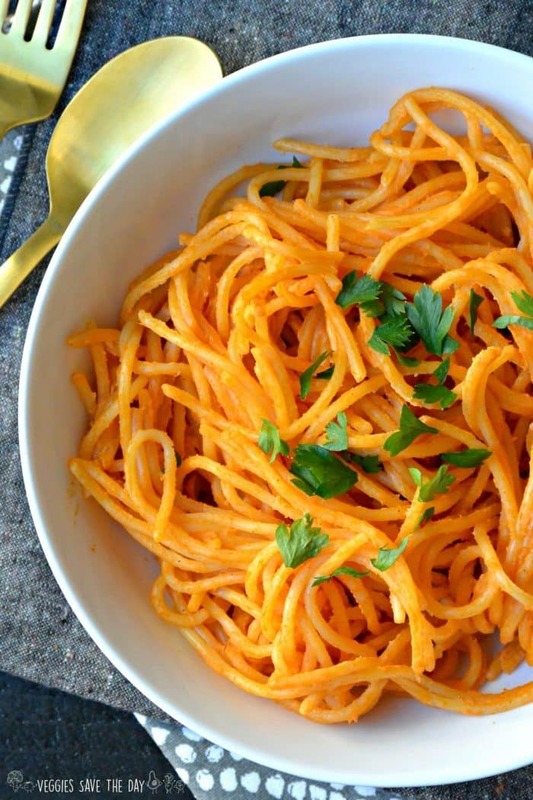 You won’t believe how quick and easy it is to make delicious pasta dishes when you have raw cashews! Raw cashews are perfect for making Creamy Sun Dried Tomato Pasta because they eliminate the need for dairy and oil. Be sure to buy raw cashews rather than roasted and salted. In addition, it helps to have a high-speed blender such as a Vitamix. But if you don’t have one, fear not. You can soak the cashews for 30 minutes in hot water or overnight in the refrigerator, and you’ll be good to go. For this sauce, the cashews are combined with sun dried tomatoes, water, lemon juice, and salt and pepper. 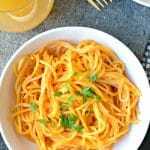 Besides making Creamy Sundried Tomato Pasta when you feel like a comforting meal, you can also serve it on special occasions, like Christmas and Valentine’s Day. I like it with a salad like Mediterranean Tomato and Cucumber Salad or a Massaged Kale Salad. Or if you like to grill, this pasta goes really well with Grilled Eggplant Salad or Grilled Corn Tomato Cucumber Salad. And, of course, a dessert, like Small Batch Brownies or Raw Key Lime Pie. But making Creamy Sun Dried Tomato Pasta is so quick and easy, there’s no reason to save it for special occasions! This recipe uses the sun dried tomatoes you find in a package, rather than the ones packed in oil. You can find them in most supermarkets in the produce section, at your local Trader Joe’s, or on Amazon. And I haven’t tried it yet, but you can even make your own sun dried tomatoes at home! Check out this article that explains how to make them in the oven, a dehydrator, or in the sun. See how easy it is to make Creamy Sun Dried Tomato Pasta in the short video! 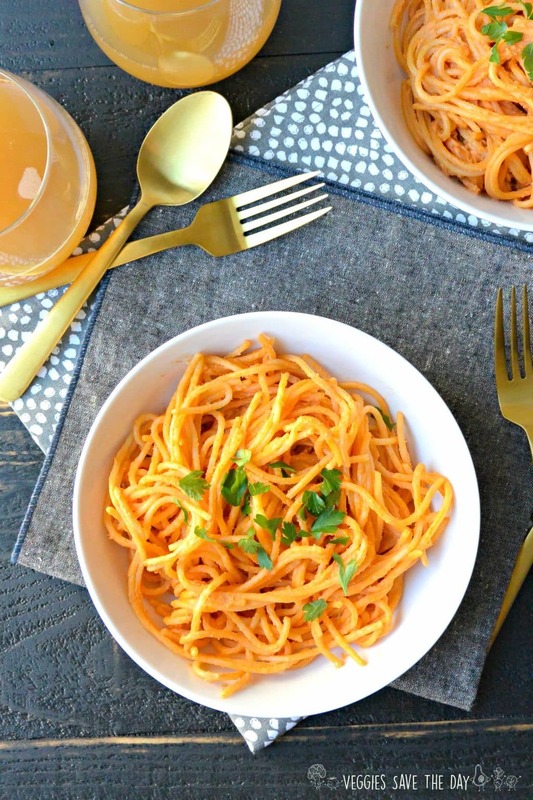 Creamy Sun Dried Tomato Pasta comes together quickly without any oil or dairy. If you don't have a high-speed blender such as a Vitamix, soak the raw cashews in hot water for 30 minutes. Cook the pasta according to the package directions. Drain, return to the pot, and set aside. Blend the sun dried tomatoes, cashews, water, lemon juice, and salt and pepper in a high-speed blender until sauce is very smooth. Add more water, if needed. Add the sauce to the cooked pasta and toss until well coated. 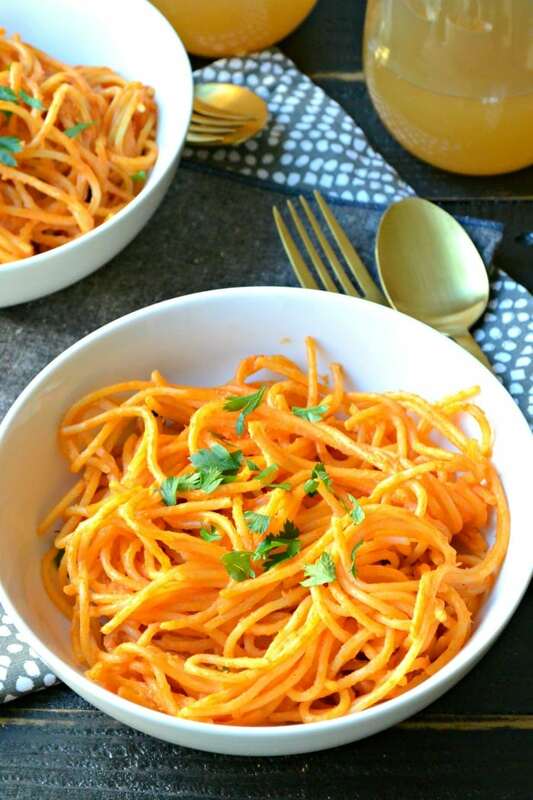 Serve the pasta in bowls and top with fresh parsley, if desired. 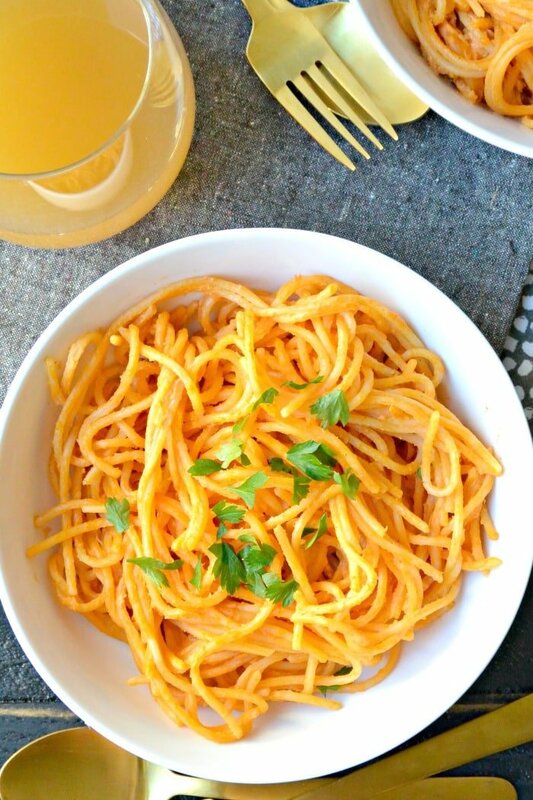 do you think this sauce is freezable…..before combining with the pasta ?? I’m afraid the texture would be off when it’s defrosted. I would make it fresh, if possible. Hi — I made this sauce tonight. It has a great flavor. But I wonder why my sauce turned out brown in color while the photos of the sauce you have posted look more tomato red in color (much more appealing than brown). I used sun dried tomatoes (not packed in oil), and followed the recipe exactly. Any ideas? I’m glad you enjoyed it! I imagine the sundried tomatoes you used weren’t as red as the ones I used. Were they a dark color? Anyway, I’m glad it still tasted good! Yummy! Unique flavor. Fast and easy. Thank you!